Whether a threat of violence is made with sincerity or as a prank, its consequences can be severe and far-reaching. Calling in a bomb threat to get out of class, writing “I’ll kill you” on someone’s social media page and brandishing a weapon in public are a few examples of actions that could result in terroristic threat charges. However, not all threats are punishable as crimes of terror under Pennsylvania law. 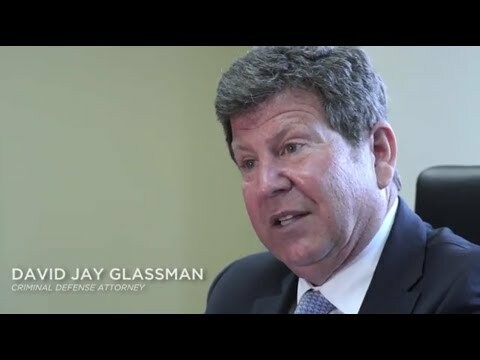 At the Law Offices of David Jay Glassman in Philadelphia, we are skilled at mounting strong defenses to these charges. Communication of a threat under the statute can made directly (such as by speaking or writing) or indirectly (such as by brandishing a weapon or other dangerous instrument). Except for limited circumstances, terroristic threats are charged as first-degree misdemeanors punishable by up to five years in prison and as much as $10,000 in fines. A terroristic threat will be charged as a third-degree felony if it causes the evacuation of a building or the rerouting or evacuation of public transportation, or if occupants of a targeted location are diverted from their normal or customary operations. It is punishable by up to seven years in prison and $15,000 in fines. In the case of an evacuation, the defendant may ordered to pay for the costs involved, which may include services provided by firefighters, police officers, and/or other emergency medical personnel. Intent is a crucial aspect of a terroristic threat charge. If it can be shown that a person made a threat in the heat of the moment or in playfulness without meaning to incite terror or cause public inconvenience, a terroristic threat charge is not sustainable. Conditional threats — such as, “If you sell the house, I’ll burn it down” — may also fail to meet the legal standard. We work to have unfair charges dropped or dismissed, and to obtain innocent verdicts when a trial is necessary. In instances where the prosecutor can present a strong legal basis for a criminal charge, we will attempt to negotiate a plea deal that is reasonable and free of excessive punishment. Making a terroristic threat is a serious crime in Pennsylvania. If you or a loved one need a skilled criminal defense attorney, the Law Offices of David Jay Glassman in Philadelphia may be able to help. We represent clients in Philadelphia, Bucks, Chester, Delaware and Montgomery counties. To schedule a legal consultation, call us at 215-563-7100 or contact us online.